08/02/2018 – Ephemeris – Has liquid water been found on Mars? Ephemeris for Thursday, August 2nd. The Sun rises at 6:30. It’ll be up for 14 hours and 37 minutes, setting at 9:07. The Moon, 2 days before last quarter, will rise at 12:09 tomorrow morning. 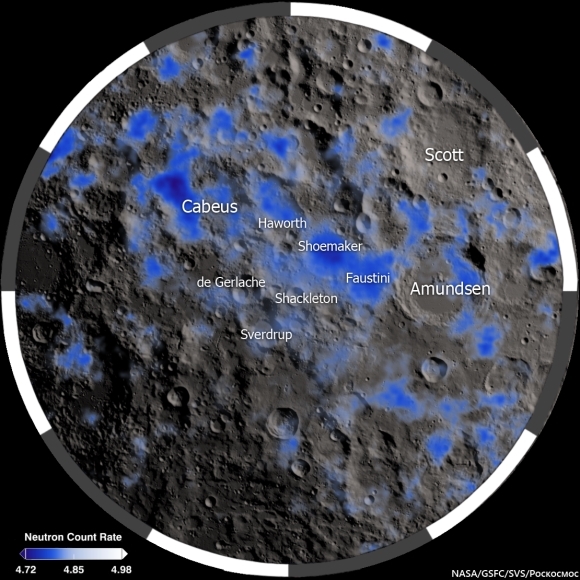 The European Space Agency has announced the possible discovery of liquid water beneath Mars’ southern polar cap. Perhaps it’s like the lakes found under Earth’s Antarctic ice sheet. 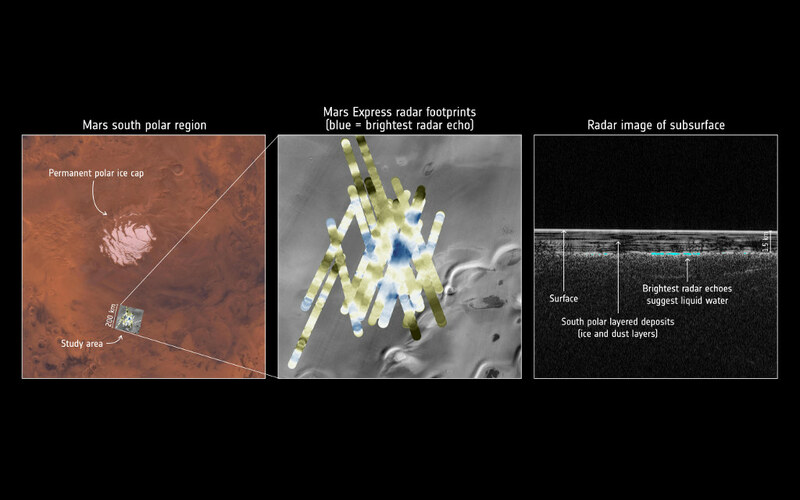 The discovery was made by the Mars Express orbiter’s ground penetrating radar. Mars south polar cap is primarily made of water ice up to 3.7 kilometers thick, covered in winter by a meter, give or take, thickness of carbon dioxide ice, what we call dry ice. Mars elliptical orbit happens to make southern hemisphere summers short and hot, and winters long and especially cold. Liquid water could exist several kilometers below the martian surface. Mars’ internal heat flow is what NASA’s InSight lander, now en route to Mars is going to tell us.